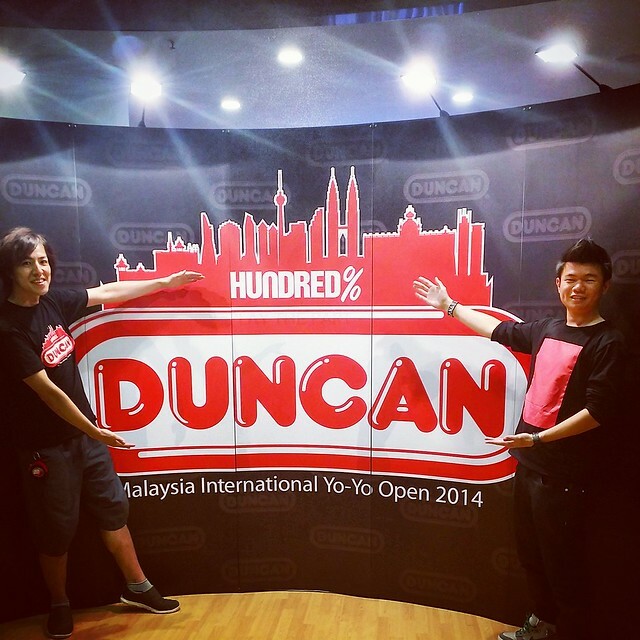 Last weekend was the Malaysia International YoYo Open, organised by Duncan and Hundred%. It was held in Lot 10, in front of Hundred% shop. 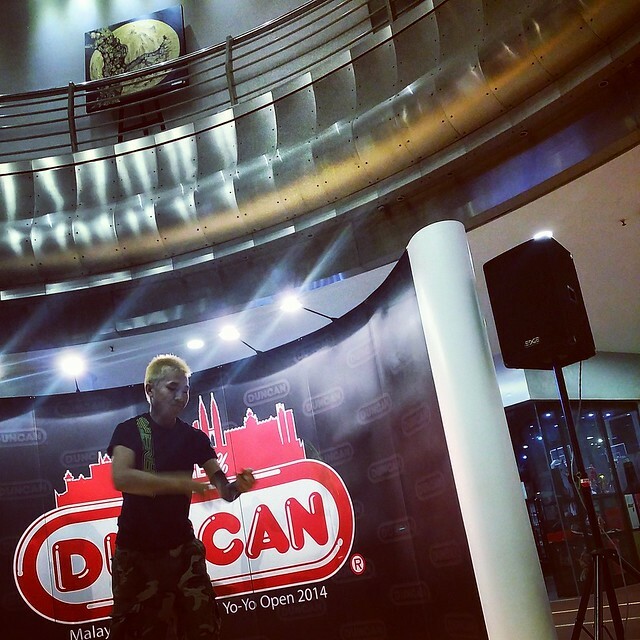 The venue was nice, slightly different from the normal yoyo contest style. This time its on an indoor basketball court. The backdrop as great, even though without a stage it was still a good contest venue. 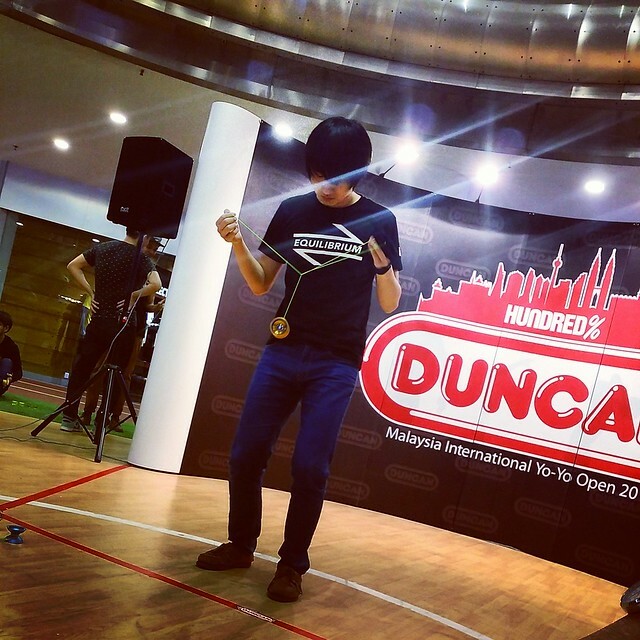 Many players from Singapore, Thailand, Indonesia, Brunei, and even Korea and Japan came for this International yoyo contest. Well done, good to see so many players unite and compete against each other. The contest started of on Day 1 with the prelims and day 2 with the Finals. 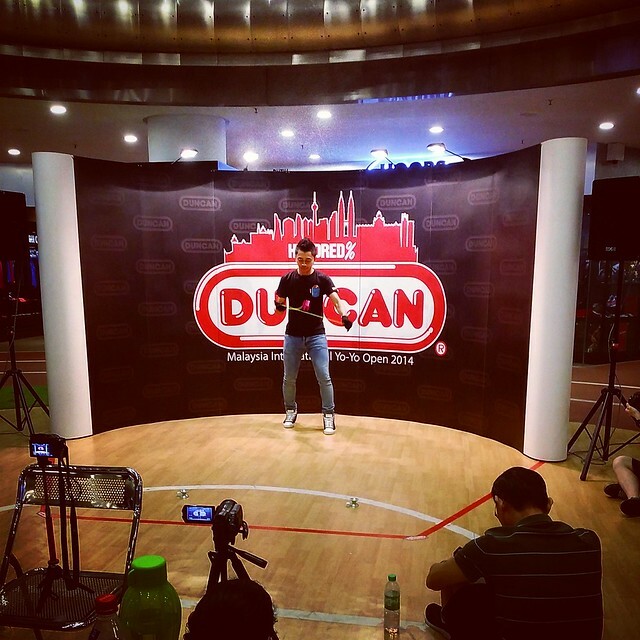 During the finals, we saw World Champion Marcus Koh, Asia Champion Christopher Chia and Ahmad Kharisma going all out to win this contest. 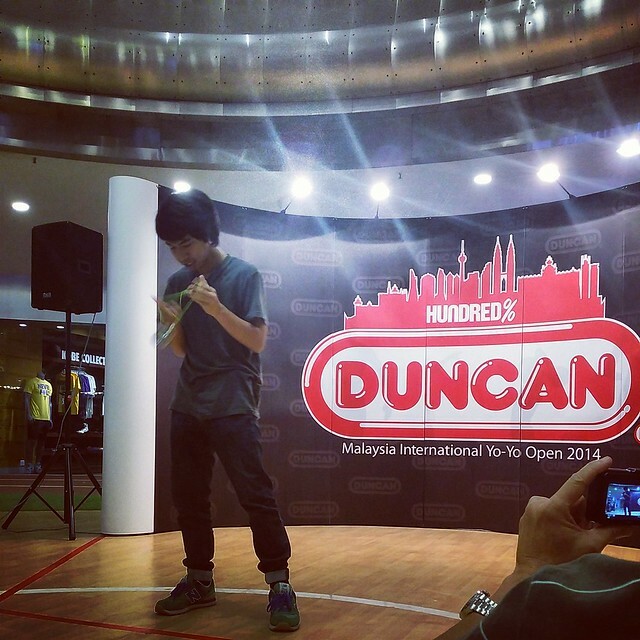 Ahmad Kharisma from Indonesia emerged the Champion for 1A division and Ryuya Kaneko from Japan won the Y Division. It was a tough fight, Marcus Koh came in 2nd and Christopher Chia in 3rd. Congrats. Good to see local talent Ho Swee Jim coming in 4th place in the 1A division finals! Good job. Pornpinit and Wassakorn, both from Thailand got 2nd and 3rd respectively in Y division. Awesome 4A and 2A freestyles! Not forgetting Taka who came all the way from Japan to show his very entertaining Soloham freestyle for Y division. Ahmad Kharisma won 1st in 1A division, walking away with USD500 Cash! 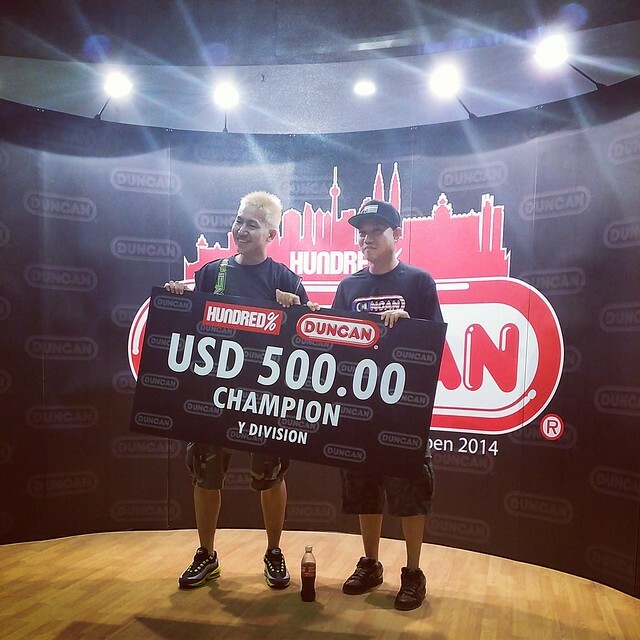 World Champion Marcus Koh showing what it takes to be a World Champ! Not forgetting local superstar Shakeel, who came in 7th placing for 1A division. Overall it was an awesome contest, I love it. On my part, I qualified 4th place in the prelims and got 8th place in Finals for Y division. Freestyle wasn't that good as I did not practice at all. I will try to improve next time. 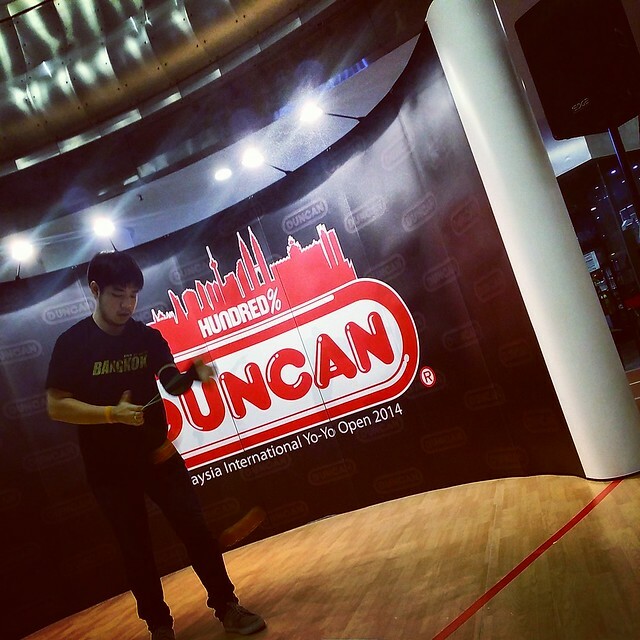 Can't wait for next years Duncan International YoYo Open! 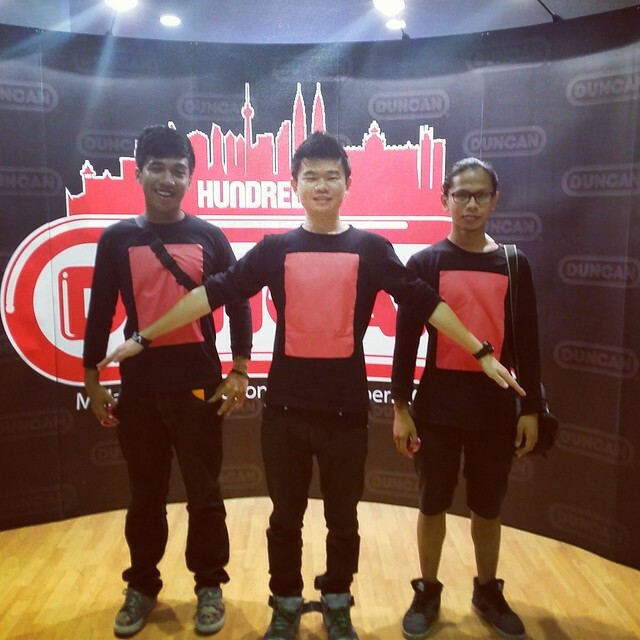 Big thanks to Dimi Azrul Ryan Adam Azrin and team for organising this event!